Hi all, once in a while i get a crazy idea and i will not rest until i do it. 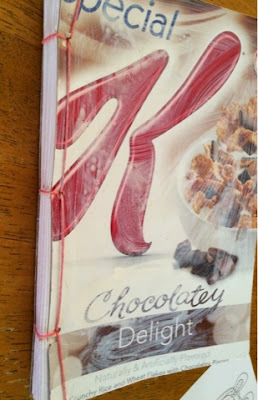 Well, this time i was mad i couldn't find an art journal i liked so I thought- i have mixed media paper i will make one. 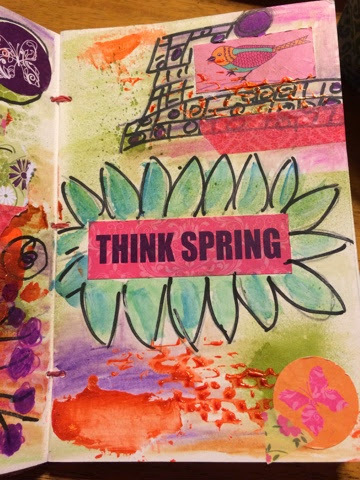 And once i eyed the preview of the new collections before the release i just knew i was going to use springtime to cover my journal. So without too much detail, otherwise this post will go on forever i folded, punched and binded the paper(tons of book binding videos on YouTube btw) along with using an old cereal box for a lil sturdier cover. 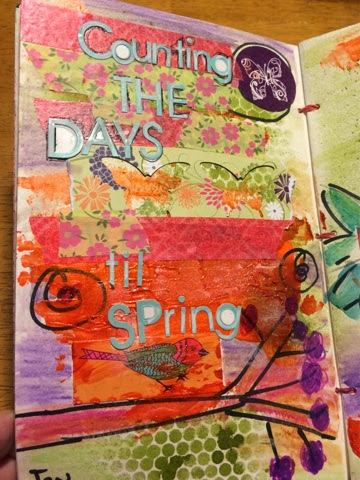 I then took out my springtime papers and stickers and layered them so i could cover the front and back. Next i added some gem dots and layered alpha stickers for my title. Lastly, ( the fun part) i grabbed my fave springtime stickers and paper bits and added them to two inside pages and colored, doodled, painted around them to make my first pages. I wrote in an earlier post that I would use the Moxxie "Road To Recovery" line three times. I made 2 cards with it last month and today is the 3rd time. 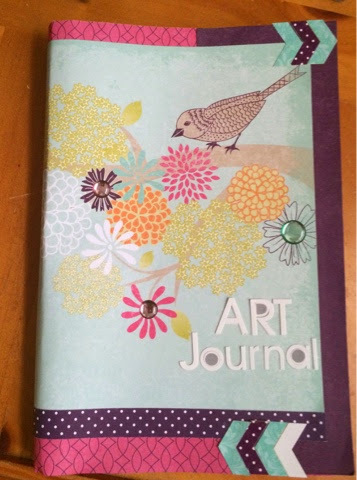 It is an art journal layout. As I said before, Recovery can be anything. Getting back on your feet after a job loss. A sickness. So many things can fit this line. I personally have been on a journey for 9 years and it isn't over yet. It never will be over. Not all illnesses can be cured. Some show you right away what the end of the journey will be so you have to make the most of your journey while you can. Journey's in general are always evolving. 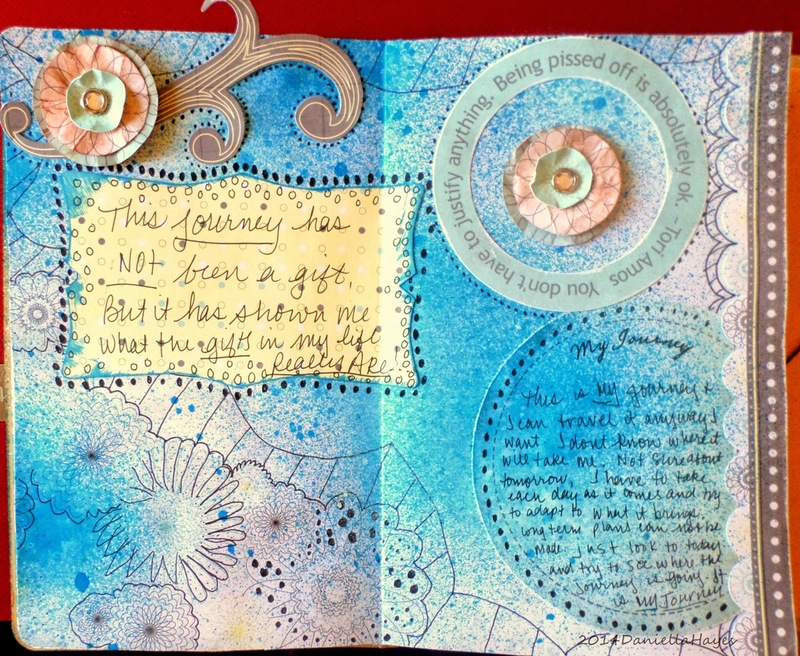 Sometimes writing it out on an art journal page is the best thing to do. 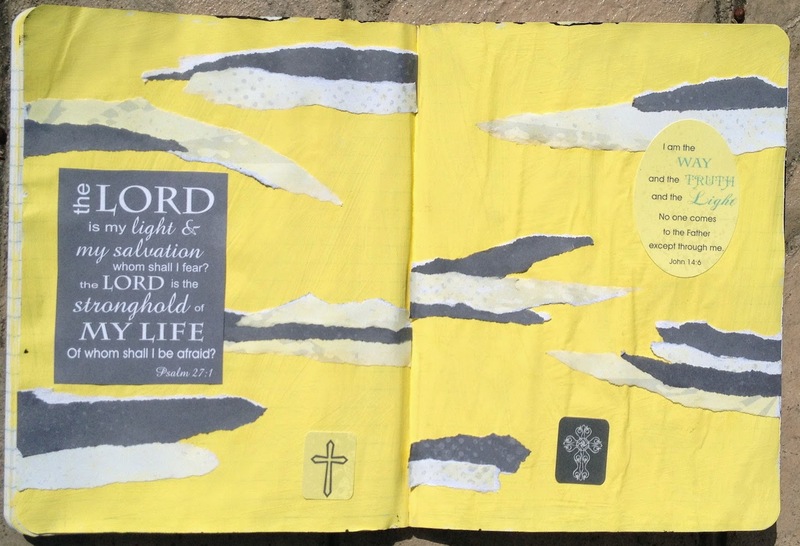 I started with Life's Gifts paper and adhered it to my journal. This paper has lines on it, like notebook paper, and an awesome saying "This Journey has not been a gift, but it has shown me what the gifts in my life really are." I sprayed blue Dylusions ink on the pages and let them dry. I wrote the saying on a die cut that goes with the set and adhered it to the page. 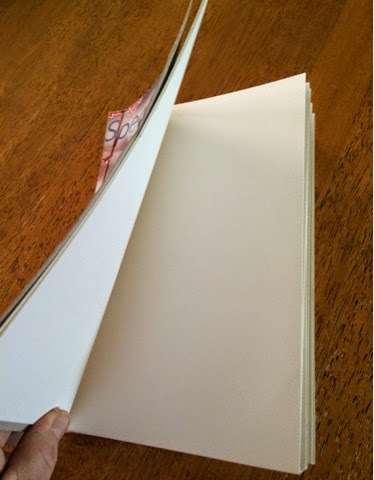 I cut out one of the circles from the Journey paper and adhered it to the page. I loved that it said "My Journey" on it. I also added the circle die cut and a border die cut on the right, and the flourish die cut on the left. The circle flowers are die cuts that I wrinkled and inked and stacked. I finished off this layout with doodles. I always doodle when I make an art journal layout. There is doodling everywhere. That is a problem I have. I can't stop adding more doodles and details!! I used a Pitt Pen small for all of the doodles. I wrote "This is MY journey and I can travel it anyway I want".